December 8, 2012 - American International Group, Inc. (NYSE: AIG) and an investor group led by Mr. Weng Xianding, the Chairman of New China Trust Co. Ltd., announced that they have entered into an agreement under which AIG will sell up to a 90% stake in International Lease Finance Corporation (ILFC), a non-core asset, to the investor group in a transaction that values ILFC at approximately US$5.28 billion. The investor group comprised of New China Trust Co. Ltd., China Aviation Industrial Fund and P3 Investments Ltd. has agreed to acquire 80.1% of ILFC for approximately US$4.23 billion, with an option to acquire an additional 9.9% stake. Upon receipt of required Chinese regulatory approvals and exercise of the option, the investor group is expected to be expanded to include New China Life Insurance Co. Ltd. and an investment arm of ICBC International. 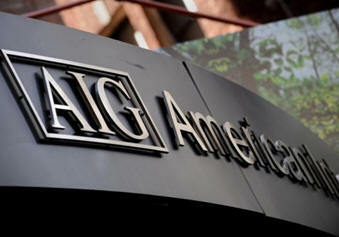 The transaction, which is expected to close in the second quarter of 2013, marks another success in the disposition of AIG’s non-core assets. At closing of the transaction, AIG will retain at least a 10% ownership stake in ILFC, allowing it to continue to participate in the growth of ILFC’s unique franchise, including the benefits that the investor group will bring to the company. The transaction is subject to required regulatory approvals, including all applicable U.S. and Chinese regulatory reviews and approvals, and other customary closing conditions. When the transaction meets the criteria for “held for sale” accounting treatment, AIG expects to record a non-operating loss of approximately US$4.4 billion, which includes a non-cash charge of approximately $1.8 billion associated with the utilization of tax net operating loss carry forwards from this transaction. ILFC is a leading independent aircraft lessor with a global customer base of approximately 200 airlines in 80 countries. ILFC’s portfolio consists of over 1,000 owned or managed aircraft, as well as commitments to purchase 229 new high-demand, fuel-efficient aircraft and rights to purchase an additional 50 such aircraft. Under the new owners, ILFC will retain operational independence and continue to be headquartered in Los Angeles, CA. ILFC’s Chief Executive Officer Henri Courpron and President Frederick S. Cromer will continue to operate and manage the business. ILFC currently employs approximately 560 people, including more than 450 people based in the U.S., and expects to hire additional U.S.-based staff to replace AIG-supported operations. ILFC will remain incorporated in the U.S. following the closing of this transaction and will continue to be registered with the U.S. Securities and Exchange Commission. Upon closing, a distinguished new Board of Directors for ILFC will be appointed. A majority of the new Board will include leading independent U.S. and European aerospace and financial industry experts, including Mr. Benmosche from AIG. The balance of the Board will be comprised of representatives of the investor group. The Board will continue to uphold “best practice” governance standards and practices.